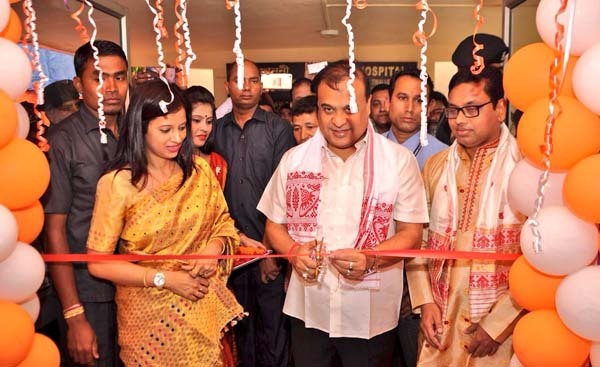 Assam Finance Minister Dr Himanta Biswa Sarma refrained from commenting before media about his stand on Citizenship Bill in an inaugural ceremony of Gate Hospital in Guwahati on Friday, at a time when the ruling BJP, except some leaders favoured the implementation of Citizenship (Amendment) Bill 2016. BJP’s Guwahati MP Bijoya Chakravarti, former State BJP spokesperson Mira Borthakur and BJP’s Dispur MLA Atul Bora raised their voice against the Bill. It may be mentioned that a massive protest against the Citizenship (Amendment) Bill 2016 was staged during the first Joint Parliamentary Committee’s (JPC) public hearing on May 7 at Guwahati while the Bill got huge support in the Barak valley during the two day public hearing on the Bill on May 8 and 9. The Conrad Sangma-led Meghalaya cabinet, where BJP is also a part of the coalition government, opposed the Bill. On the other hand Congress leader Gautam Roy also supported the Bill during the public hearing held at Silchar NIT auditorium while the Assam Congress opposed the Bill.